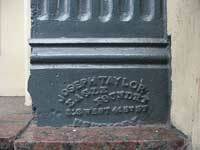 Joseph Taylor's Eagle Foundry was located at 311-313 W. 41st St. from approximately 1868 to 1876. 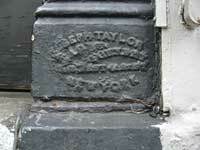 Taylor first appeared in New York city directories in 1853 as a partner with Abraham Ayres at the firm, Ayres & Taylor, 158-160 W. 40th St. near 7th Ave. More on the Ayres family and their foundries can be found on the Abrm Ayres page. 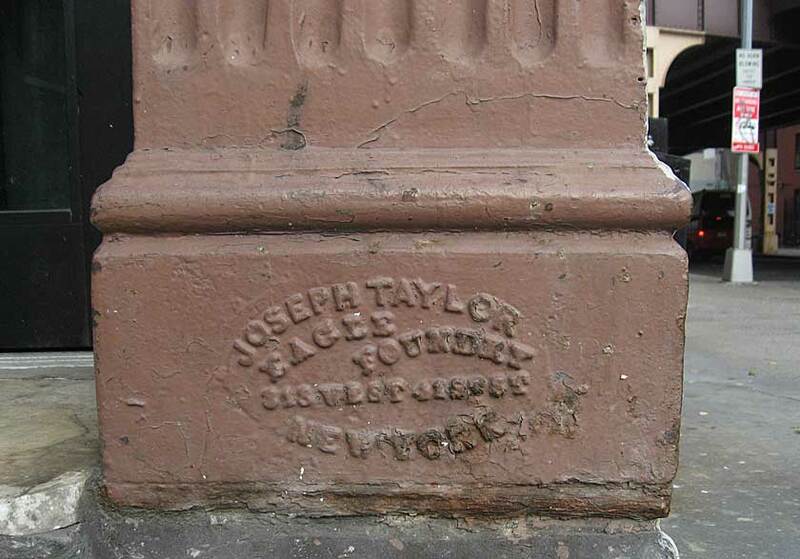 The Ayres & Taylor partnership broke up in the early 1860s, and Taylor's own Eagle Foundry was established by 1863, when it was located at 125 W. 41st St.
Joseph Taylor was born in England approximately 1821. 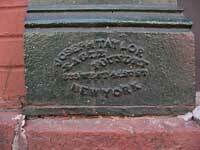 His name was recorded in the U. S. Census reports of 1850, 1860 and 1870. In 1870 he lived in Mt. Vernon, Westchester County, New York. He lived with his wife, Honora, born in Ireland, and their four children, ages 18 to 3. The 1860 census records two older children, Henry and Edwin, born in England. Joseph Taylor's naturalization certificate, dated 23 Oct. 1854, was witnessed by John Shannon, 412 10th Ave. 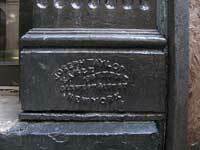 The 1850 census recorded Joseph Taylor, age 29, living in the home of John Shannon, a shoemaker.